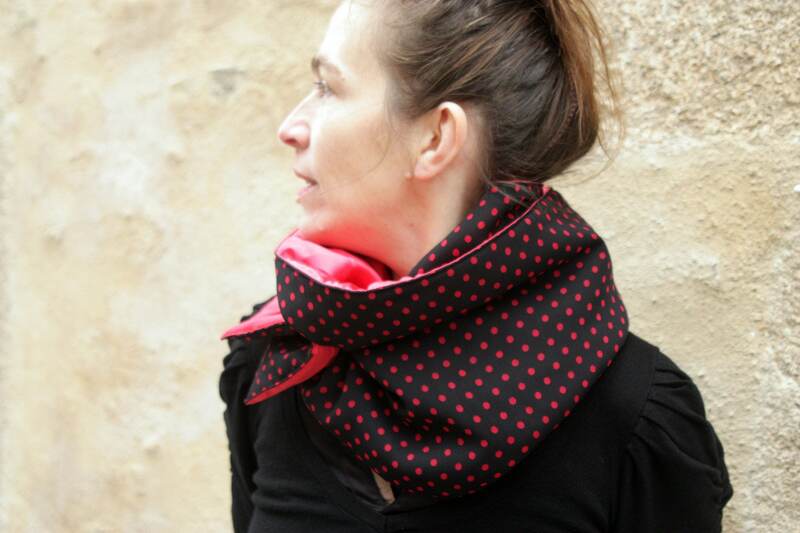 This neck - scarf is Viscose black with red dots on top. 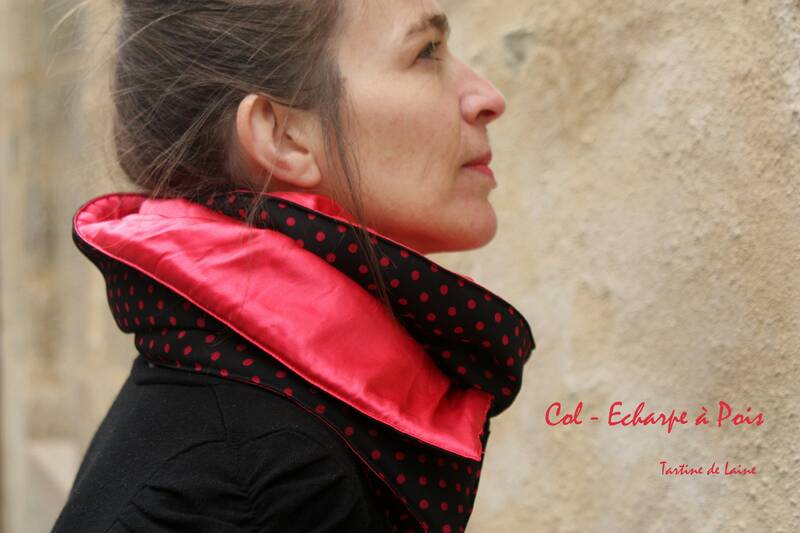 Red silk lined, inside padded to give structure to a collar and the warmth of a scarf. 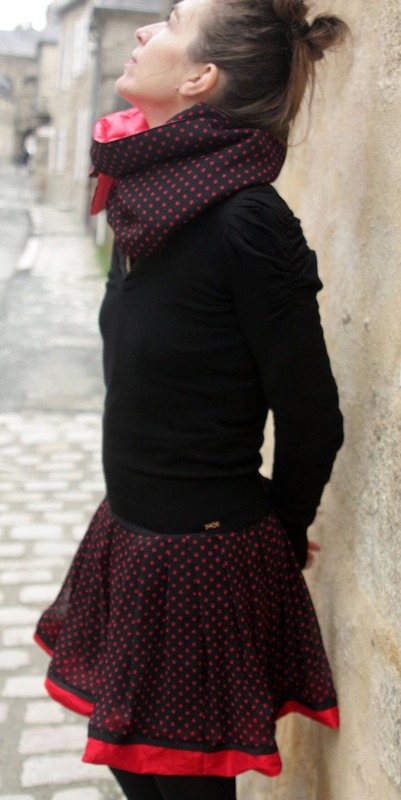 The scarf/cowl closes with snaps. made a second round and one snap back. 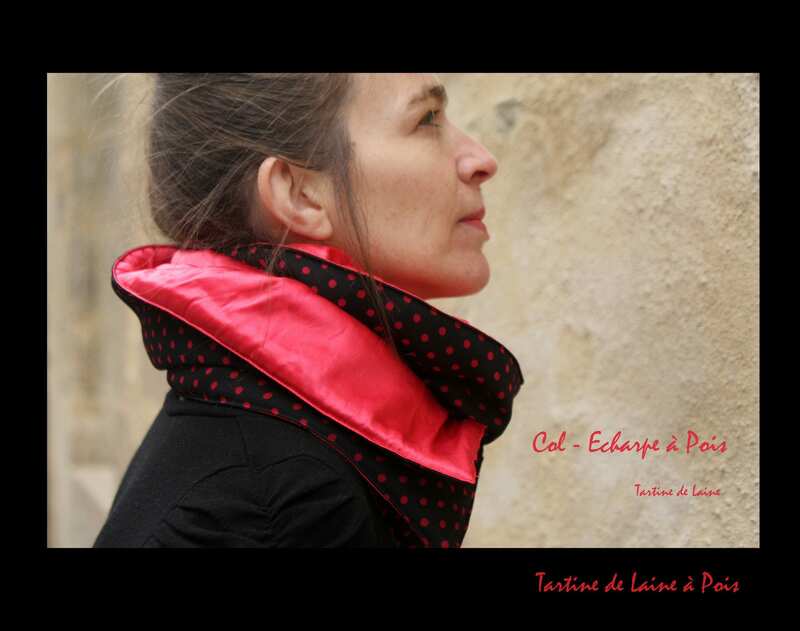 This collar is up, just let the reverse as you like.